As Chicago aldermen debate the city's 2018 budget, a skeptic gives the East Village Association on Monday a community development perspective on municipal finances. 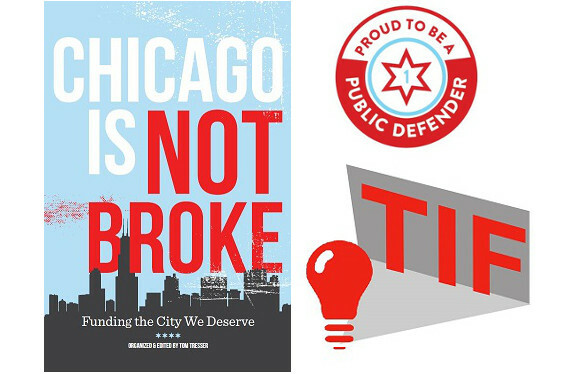 Tom Tresser, a founder of the activist CivicLab group, will speak at 7 pm in the Happy Village, 1058 N. Wolcott Ave. Tresser is editor of "Chicago Is Not Broke," a collection of budget reform essays. Chicago's $8.6 billion budget is a 3% increase from current spending. The 2018 proposal adds 425 new police officers, detectives and sergeants and kicks in another $63 million in police and fire pension contributions from new taxes, including higher phone charges on 911 service. A public hearing is set for 11am Wednesday at City Hall, 121 N. LaSalle St. While Mayor Rahm Emanuel calls the plan gimmick-free, it pulls $40 million from the city's Tax Increment Financing property-tax earmarks. TIFs also shore up the school budget. Tresser's TIF Illumination Project calls TIFs a $1.4 billion mayoral "slush fund." Tresser is circulating an online petition opposing the budget, and his Public Defender Campaign argues against the practice of selling city assets. In a Crain's Chicago Business essay, Tresser advocates state reforms that would include the LaSalle Street tax on stock trades and a progressive income tax. His CivicLab group plots strategy in a Nov. 11 organizing session at the Loyola University School of Law, 25 E. Pearson St. The Monday agenda at Happy Village includes Anne Shaw in a "Meet the Candidate" segment. Shaw is a candidate to fill Cynthia Soto's 4th District state house seat in the March 20 primary.